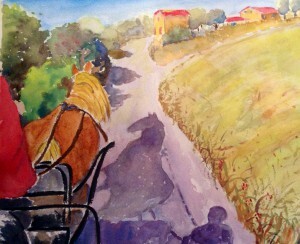 Suzanne Snadecki paints her dream into reality..
it involves my family doing something pretty amazing. 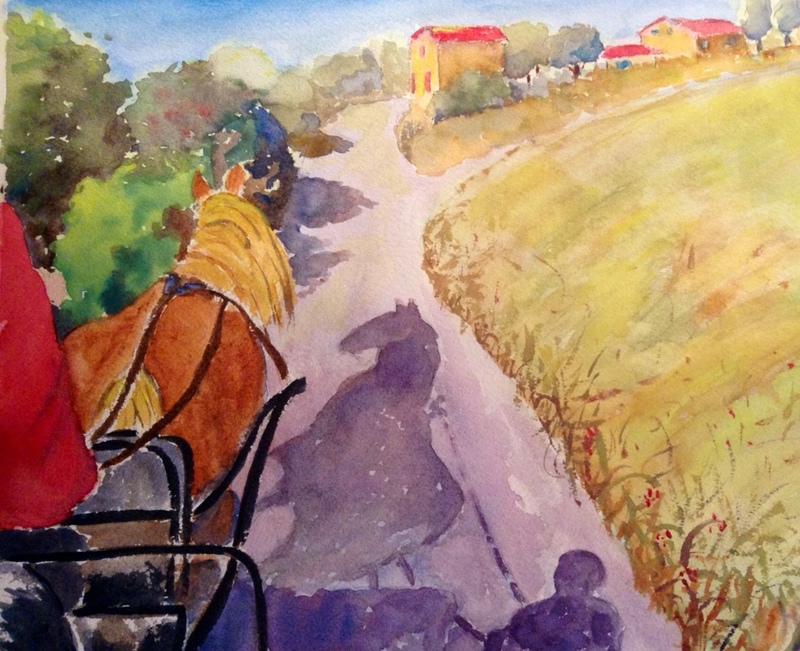 My mother, who lives in France, woke up one morning and decided she wanted to travel around the country in a horse drawn gypsy wagon. A long time sailor herself, this will be her 'boat ashore'. Not one to do anything half way in spite of a shoe string budget, she has made major progress toward realizing her dream from scratch in little over a year. 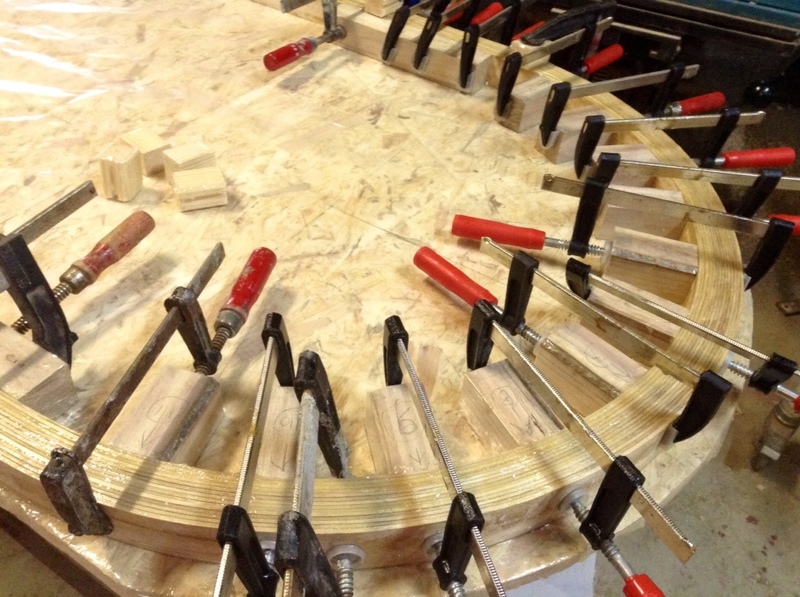 The doorway arch in progress. is a big part of the project. 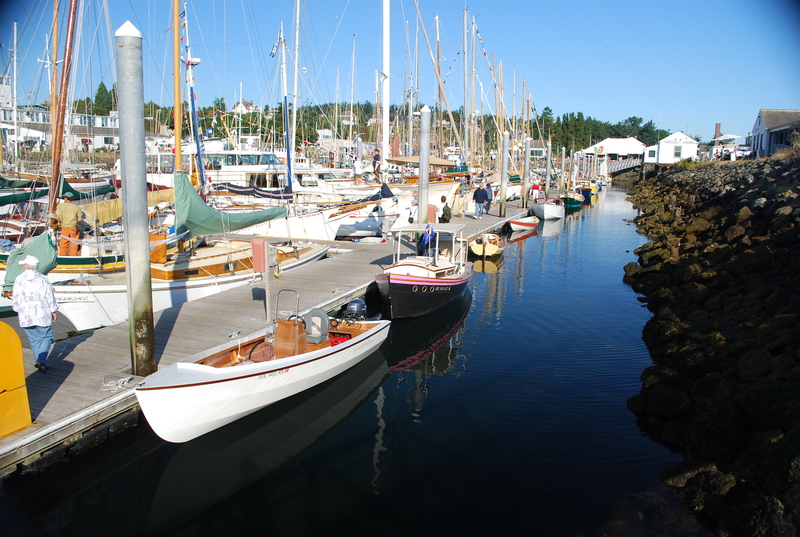 Here he writes about building a roulotte ("gypsy wagon") using multihull design as a reference point. 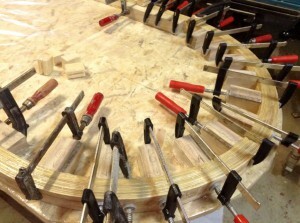 There are other posts with pictures of the construction and material choices or Click here to start from the beginning! on Totibleu.wordpress.com. Suzanne has been raising the money for the project in small doses, with her paintings and donations from inspired friends. Her blog is rich with humanity, color, and the unfolding story of the project happening in the scenic country side of France. The project has also become a statement about slowing down in a world that seems to have forgotten how to look up and see the beauty around us. 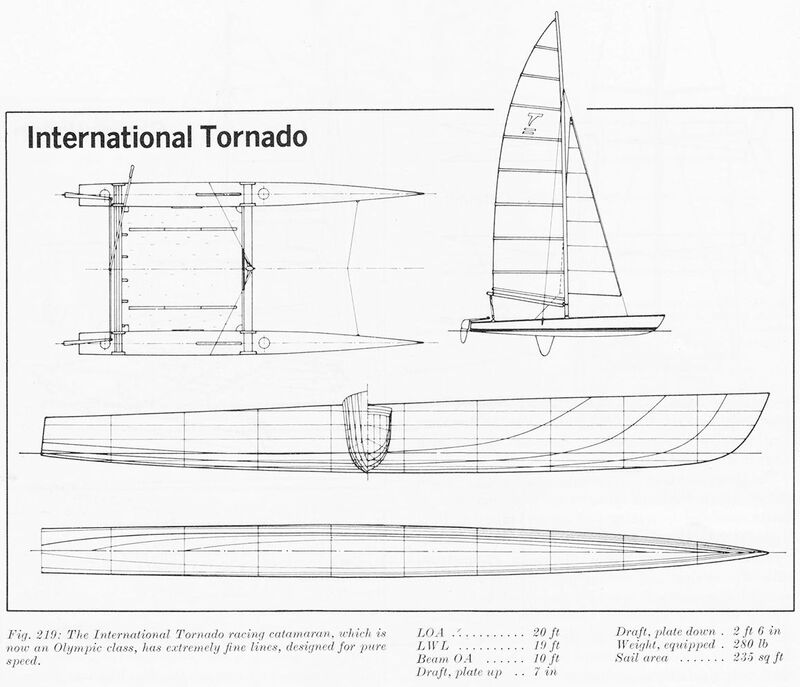 Those who are familiar with The Gougeon Brothers on Boat Construction (link leads to a free digital version of the book) may have read the chapter on a type of boat building called; "compounded plywood construction" also known as "tortured" plywood. It is the method used to create the famed Tornado catamaran hulls. Russell has recently been exploring this method. Click HERE to see a 6 page pdf as just a taste of what he has learned so far. 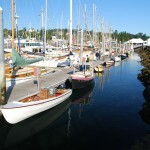 Speaking of the Gougeon Brothers, the current issue of Woodenboat Magazine has a feature article about Meade Gougeon. I thought it would be fun to have a photo contest this year. Orientation: Landscape(horizontal) is best but if you have a Portrait oriented photo that you just love, send it in! Photo-shopping:You can enhance photos but please no montage. Parameters detailed below along with details on all of the above. 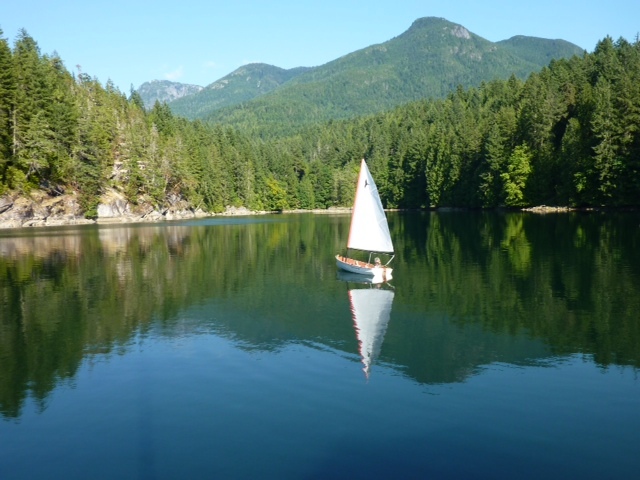 Scenic: Where are the beautiful places and moments you are using your PT11, Spear or PT Skiff? Part or all of the boat should be a part of the picture in some way but the scenery can be the primary subject. 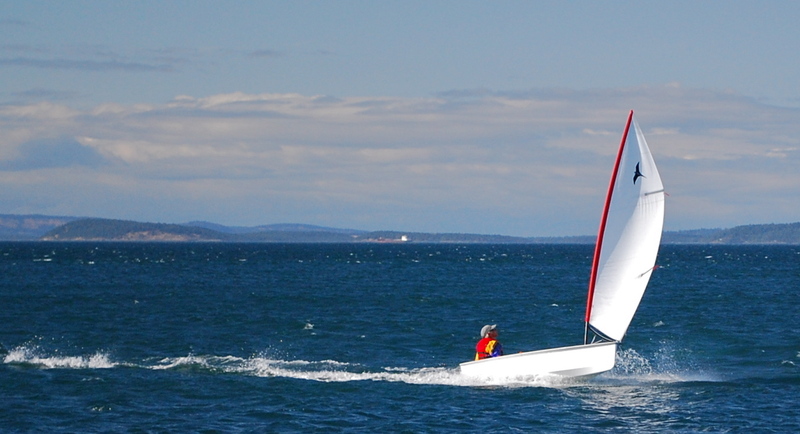 Action: Like it sounds; sailing, rowing or motoring in lively conditions and locations. Project; Can be humorous moments during your project, celebrations, launchings, artful personalized details incorporated into your boat, etc. Orientation: Landscape. I can crop for vertical if we have the opportunity to use it but in most cases, especially for calendars, Horizontal landscape orientation works best. My intention is to create really nice quality calendars. Photoshopping: If you have a good photo program and like to play with your pictures, why not, but within reason please. We are seeking natural beauty in settings and human moments of experience. Montage of photos is not acceptable. Judging: This year Russell and I will be the main " judges." As this idea evolves, details may change somewhat. We both love photography and we both have a different perspective about what makes a really good photo. I can also do photo refining if you send a raw photo that you believe has merit but you do not have a way to straighten horizons or other needed corrections. Parameters: We are looking for pictures that everyone can enjoy, whether they own one of our designs or not. Most people can agree what kind of pictures are creative and inspiring. After all, it will hang on your wall for a month at a time. 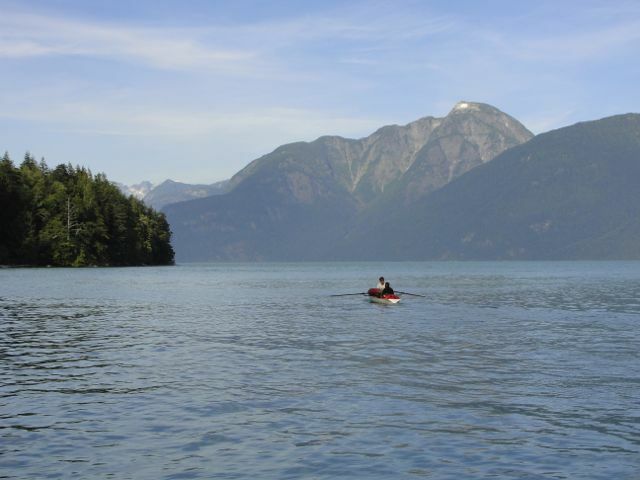 I believe that anyone who chooses to spend their time in nature, appreciates its beauty and those who like to play in boats appreciate the excitement. I also like the idea of a portion of calendar sales as a fundraiser for a good cause. Good participation will make this a success, and then we will indeed choose a cause carefully. 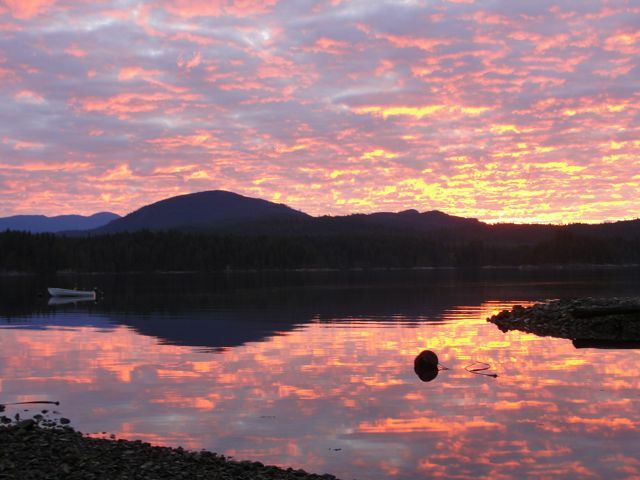 Example: The following photo is just an idea of how a dramatic moment in nature can include one of our boats. In this case, the PT Skiff in the shadows. Scarfing Basics is the latest 'how-to' book by Russell, since publishing Epoxy Basics in 2013. These books do not come into being casually. Every photo requires a good subject and what presented itself in the shop in between 'business as usual' this summer was scarfing. There are often 'how to scarf' questions online and a wide range of opinions shared that can sometimes cause more confusion than real help. The builder is still left to pick and choose how to proceed. For Russell, "strong, clean, and accurate" are the words of the day. This book describes the methods he prefers, in direct, concise language and large color photographs. 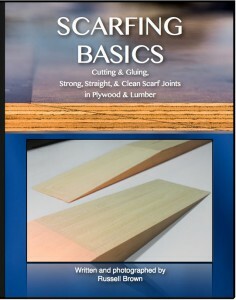 While there are multiple ways to scarf plywood and lumber, this book is a great place to start and/or perfect your scarfing skills. 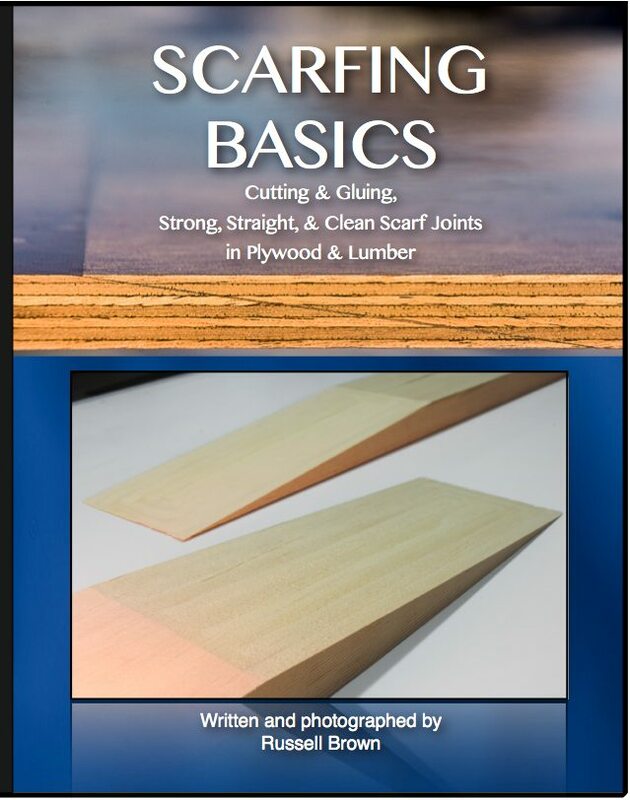 Amateur and professional woodworkers alike will find a lot of good information and tips in this book for Cutting and Gluing, Strong, Straight, and Clean Scarf Joints in Plywood and Lumber, including making your own jigs for table saw and router. 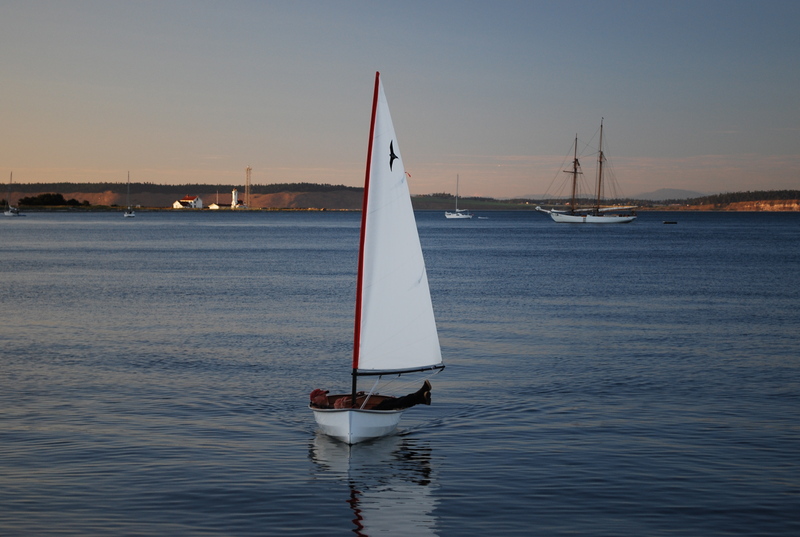 The book is currently in its final proofing stage and will be available as an ebook first, and as a print book in late January from Port Townsend Watercraft. If you don't want to wait for your book, you can pre order the print book now and get a digital pdf free. Click here to learn more and place your order. 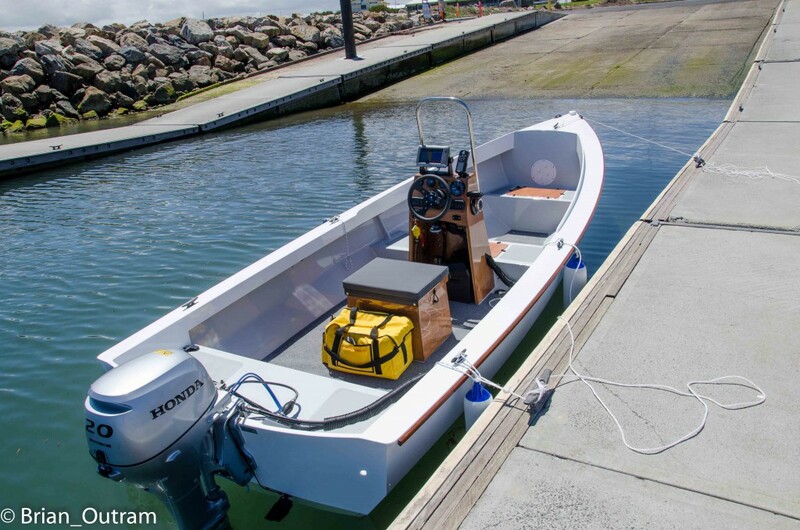 Brian in Australia has completed his PT Skiff and I think there is much to consider about what he has done with his boat. 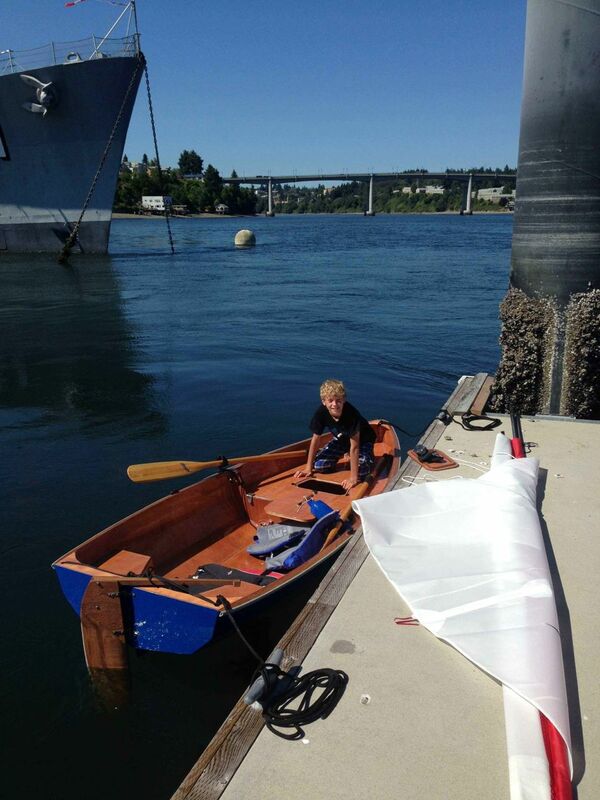 After developing sensitivity to epoxy, he had to hire help to finish the boat and we tip our hat to his perseverance. 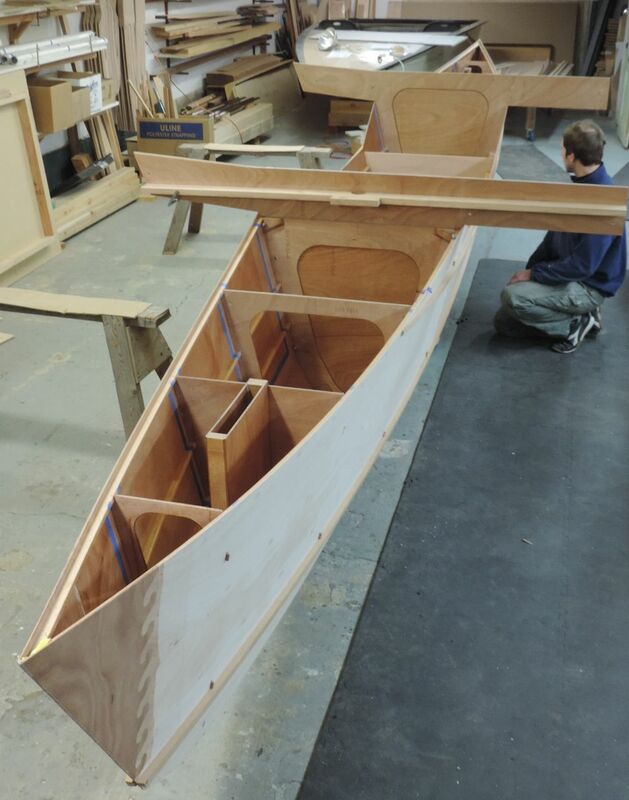 Clearly Brian is a stickler for detail and he has maintained a clear vision for his skiff. 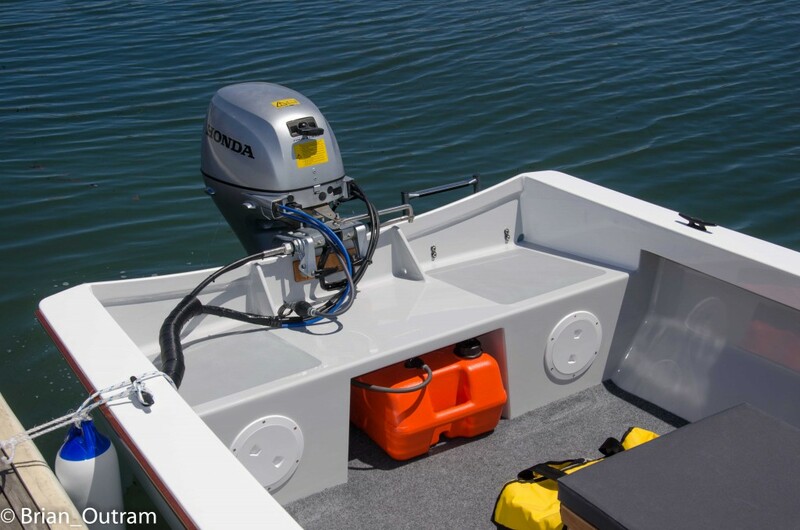 He sent a detailed account of his choices for outfitting the boat and it is this account that I want to share. I have put it together as a PDF document (HERE) that you should be able to download or read online. It is filled with photos to compliment his notes. 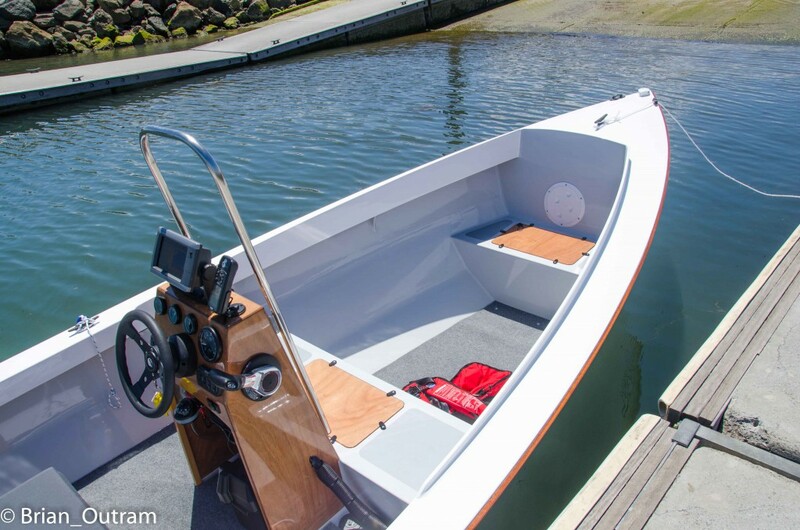 If you are currently building a PT SKIFF, these notes will be informative. 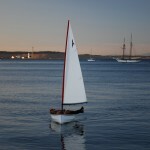 If you are thinking about building one, this should wet your appetite! His boat is very impressive! In addition, the following photos arrived with this 'Launch report"
My PT Skiff launch went extremely well today. Everything worked. 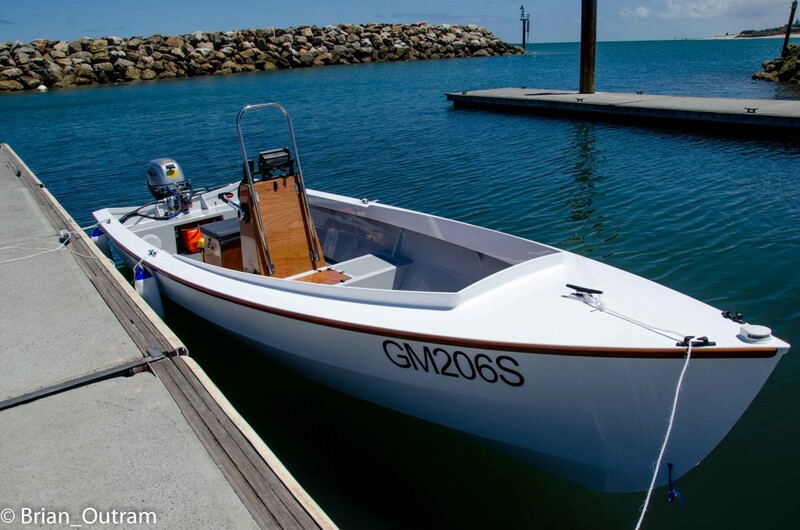 The photographs attached were taken during the initial 15 minute warm-up of the motor at the boat ramp at Adelaide Sailing Club. Whilst it looks very calm at the ramp (large breakwater), we ventured out into wind waves up to 1 metre in St Vincent’s Gulf. The wave fetch here is approximately 38 nautical miles from the other side of the gulf with the wind in a WSW direction. I have checked our weather website tonight and the wind was 11 knots gusting to 14 while we were doing stage 2 of the motor run-in (2000 to 3000 rpm). The boat was lively. Whilst it is quite tender at the dock, once you understand that you can deal with it. We went upwind for about 20 minutes. The boat was reminiscent of a lively sailboat. The boat was bouncing around a little into the wind waves, though it was dry. The boat was very pleasantly quiet even in the one metre waves. After flooding the water ballast tank, the boat was a little more stable, but did not show any significant loss of speed into the breeze. Running downwind (again limited to 3000 rpm) the boat started surfing the waves. It was fun. The first 1 hour of run-in is now complete and I can now use the boat at weekends without causing queuing problems at the ramp.